PBS Next Avenue featured a partnership between the USC Leonard Davis School of Gerontology and L.A.’s Kingsley Manor, in which students live in the retirement community alongside older residents and provide support to their neighbors. Fox News Los Angeles affiliate KTTV-TV interviewed Paul Irving of the USC Leonard Davis School about jobs and aging. Newsday reported on research by Jennifer Ailshire of the USC Leonard Davis School on how much sleep Americans get. Bustle mentioned research by Caleb Finch of the USC Leonard Davis School and Jiu-Chiuan Chen of the Keck Medicine of USC linking pollution exposure to dementia in older women. Next Avenue featured research and comments by USC Leonard Davis School Research Assistant Professor Anna Rahman on how Yelp ratings for nursing homes and ratings from the government-run Nursing Home Compare website don’t correlate well. 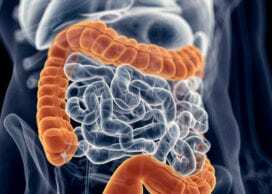 Clinical trial shows reduction of inflammation in humans; fasting-mimicking diet appears to reverse Crohn’s and colitis pathology in mice.